Slack, low and ready to go. 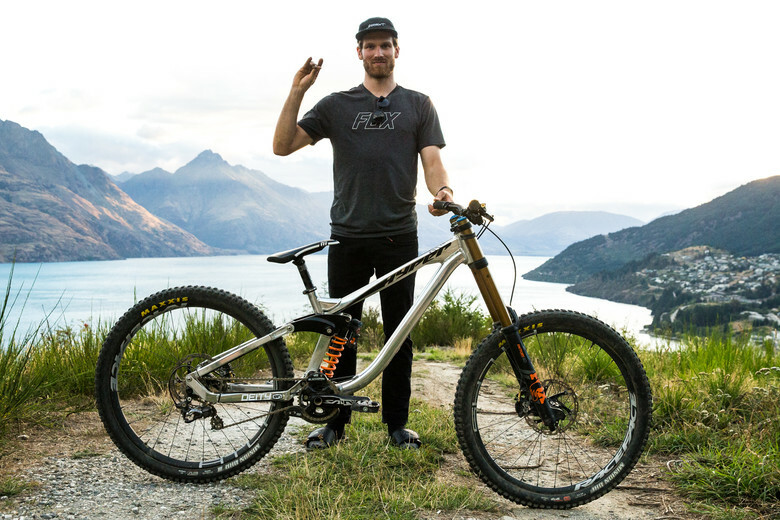 BVS shows off his proto-production Hyper DH bike. 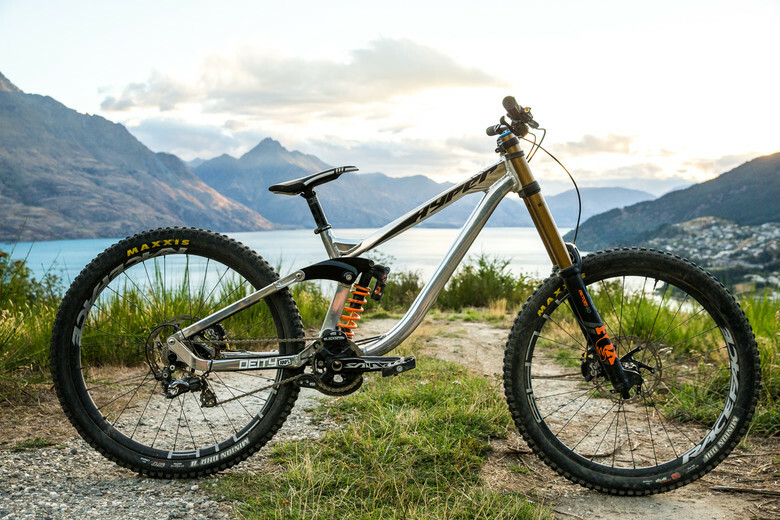 It's not for sale just yet, but Bas van Steenbergen has been shredding his proto-production Hyper DH sled for the past couple of months, and he's down in Queenstown putting it through the wringer. After seeing his phone edits on Instagram, we asked if he'd be up for a bike check to give the people a better look at the bike. From what we can see, it's slack and low and ready to go. Bas enjoys how balanced and stable it feels, which makes sense as he was able to help layout the geometry of this new machine. While the uninitiated might see it as a simple suspension design, there is actually something quite interesting going on around the bottom bracket with some very stealth links compactly tucked in. Granted, Bas is an exceptional rider with broad abilities, but after watching him ride it in person as we cruised to the different shooting spots, we had to give it a hoon. Check it out! Yup, totally correct. Tired brains don't always turn out the right thoughts. Edited! Did they try and fit the worlds smallest bearings and pivot hardware into the seatstays? Both ends too. Is it all just hype or will we finally see it go into production? I love how a riders rear tire can always show you what way they corner strongest... you just have to look. So you're thinking he corners harder to the right? Interesting! Curious that he' corners harder to the right when it looks like he rides left foot forward. That's how I am and find it easier to give'r on left-handers, which I think is typical, but I could be wrong. So I ride left foot forward as well. I rip corners to the right better, but rail high speed turns better to the left...but either side isn't far off from the other. Reality is, a little of it can do with where he was riding, but generally my tires are always a little more destroyed on their right side once worm down that far. I corner harder to the left, and my right side knobs are always more torn up. I think because I tend to skid through tighter rights, while I can clean more lefts. 'Cept for all those links!